The last couple of days have had a mix of sun and cloud. The last new snow in the Chamonix mountains was a week ago now, but it has been quite cool since then, so we still have tons of snow above 2000m. Today was the last ski day of the season for Flegere and Les Houches, but the Brevent and the front side of Le Tour will stay open for another week, until Monday 22nd April, and the Grands Montets will be open until May 1st, with a further opening on May 4th and 5th. Le Tour was nice this afternoon, with more of the same classic spring snow that we have been skiing. It had been quite cloudy this morning, and cold, but during the day the sun came out and softened the snow so that around 2/3pm it was pretty good for spring skiing, especially on the groomed pistes. 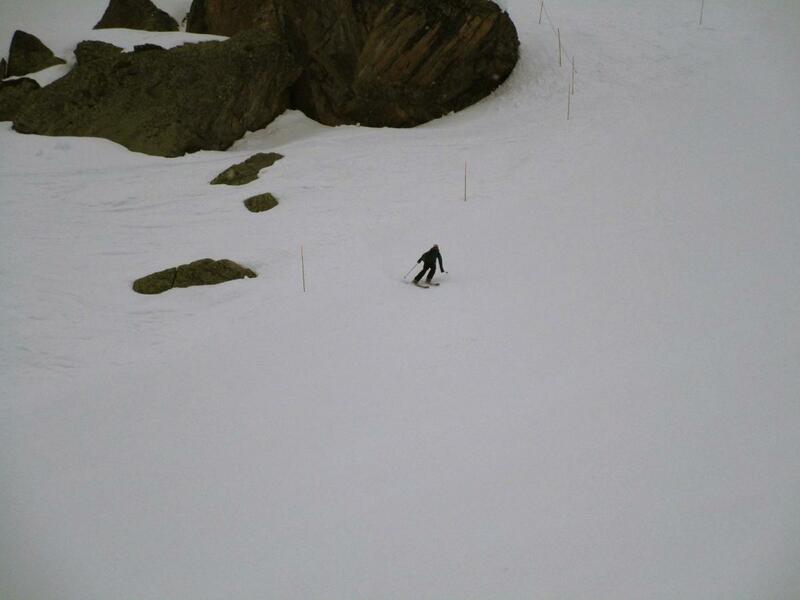 The Vallorcine side had its last day today, but there is plenty to ski on the Le Tour side for the next few days. Tomorrow is supposed to be sunny, before some more unsettled weather for the rest of the week, although we are not expecting a lot of fresh snow for the moment. Later in April we may get some more powder, and there is the Musilac Mont Blanc music festival coming up too (26-28 April). Musilac Mont-Blanc: will the festival have a new name as of next year's edition?